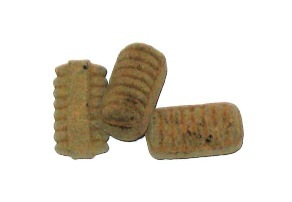 Scheepstouw are very hard licorice with a brown salmiak coating, and a strong salmiak center! These are sure to please. They are shaped like ship ropes. These are now available in a bulk sized 2 kilo tub (4.4 pounds) at a nice savings per pound, 2000g Scheepstouw.